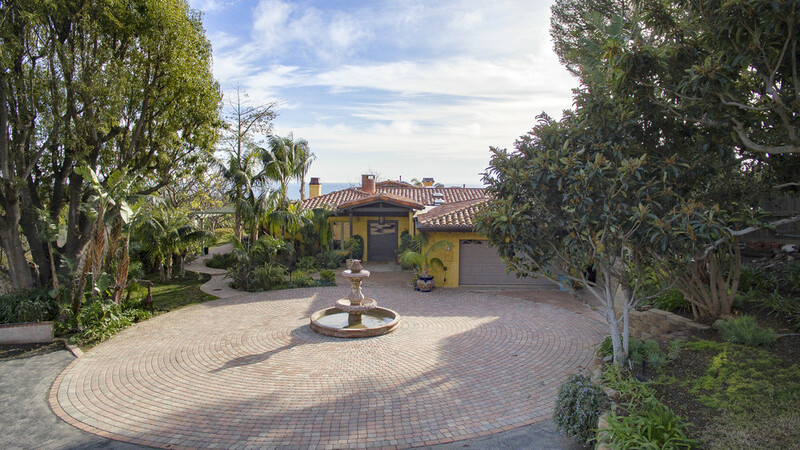 This sprawling single-story romantic Tuscan estate is located in the sought-after neighborhood of Malibu Park. Situated on over two acres, the property has so much to offer - ocean views, N/S tennis court, pool, spa, vineyard, barn, corral, chicken coop, vegetable garden and tree house! Upon entry to the property, the long gated driveway lined by fruit trees leads you to the dramatic glass front door. 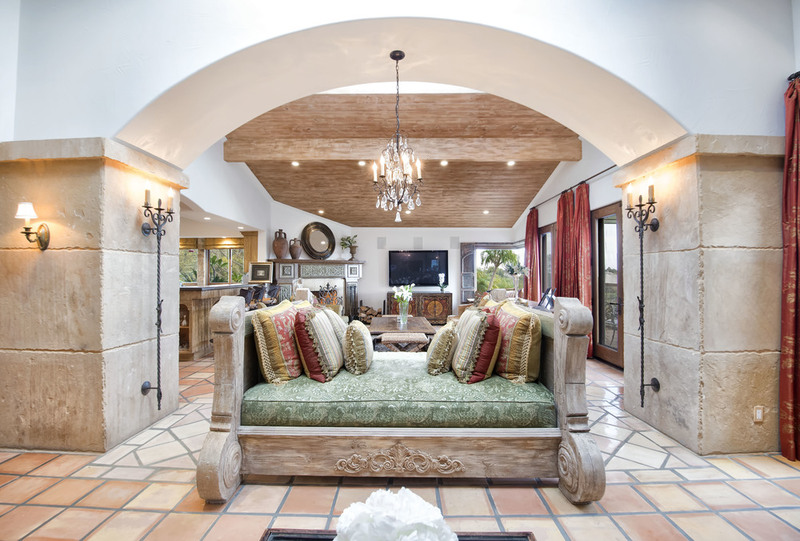 Enter the home and find yourself in Tuscan romanticism overlooking the Pacific Ocean. 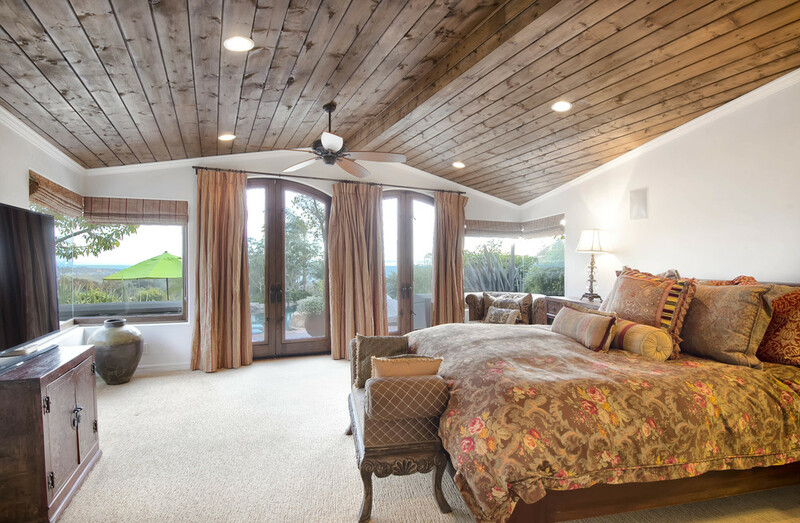 Tiled floors, beamed ceilings and a central stone fireplace make the home warm and inviting. The large ocean view master bedroom as well as the living room lead out to an outdoor entertainment area with built-in BBQ, fireplace and sparkling pool and spa. There are four additional bedrooms along with a media/game room and fully-quipped cooks kitchen with center island. 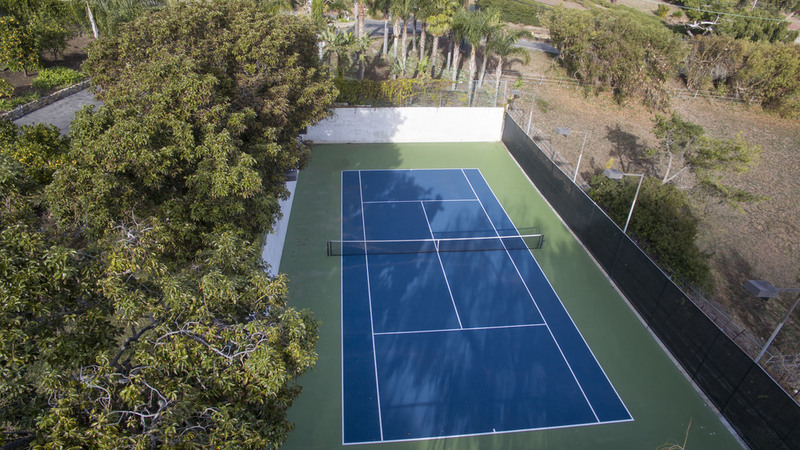 Close to schools, Zuma beach and shopping - this estate has everything you could ask for.